Many of us refuse to walk out of the house if our brows are not on point. And that’s totally normal! 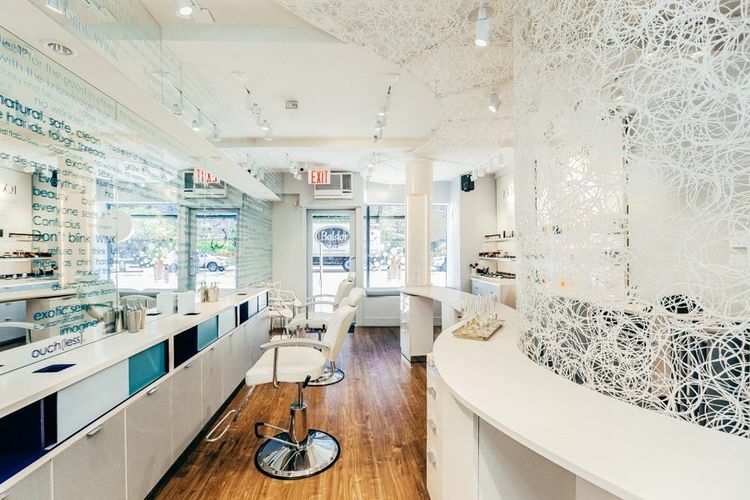 Umbreen Sheikh of New York opened Wink Brow Bar, dedicated to Threading, Tinting, applying Extensions, and showing a whole lotta love to one’s brow game! Umbreen let our Experts here at Mytopface dig up the 101 on her amazing services! Keep your ears perked and your eyebrows cocked us as we guide you through the specifics most of you are curious to know about! MyTopFace: Aside from your mother being your greatest influence for where you are today and out of all the businesses to open, what made you want to open a business specifically dedicated to eyebrows? Umbreen: I moved to Tribeca in 2005 and realized that no one was Threading in an experienced way that was in a clean, sanitary environment. To top if off, not one place was even a fun place to go to! Waxing was rampant and I was not interested in that, as I knew it was not great for your skin and brows. I had also spent years in social work for the empowerment of women and realized that the girls in this industry were pretty mistreated. Thinking I could not only help the women who worked in these environments but I could also create an environment I craved where people thread, so I put two and two together and here we are. MyTopFace: Between your Threading, Tinting, and Extensions services, how long does each service take to complete? Umbreen: Brow Threading takes about 10 minutes which includes an amazing temple massage and Brow fill-in if necessary. Brow and Lash Tints take about fifteen minutes and Brow Extensions take 30-60 minutes depending on how much Brows Extension the client requested. MyTopFace: For someone skeptical about applying their face makeup before or after their service appointment, yay or nay? Umbreen: Yay, it’s fine. That is the beauty of our services. They are all designed so that you can apply makeup straight after or come in with makeup already on. However, we do point out that the service will take longer to complete. MyTopFace: What are some common misconceptions about Temporary and Semi-permanent Brow Extensions? Umbreen: Semi-permanent and temporary are kind of the same thing. Our semi-permanent Brow Extensions last for two weeks if you look after them, after which you will need refills just like Lash Extensions, to keep them looking groomed and full. We have not come across any major misconceptions, except that people don’t know enough about them, so we make sure to explain as it’s relatively new. MyTopFace: We must say, our expert fell in love with each service she received by one of your technicians, especially her lashes. She could not stop blinking. Ha ha! For someone’s first time at your Bar looking for a test run on some Lash Extensions before they commit to the full, dramatic Lash look, which Lash service would you recommend? Umbreen: We always ask our first time clients to try out our semi-permanent full Lash Extension set because they look natural, not so dramatic, and if they want to add more lashes they can then move onto a very full Lash set. Alternatively, they can try our corner Lash set which is a nice way to see if they like them! MyTopFace: Most people touch their face almost every few minutes without even realizing it. How would you best recommend taking complete and total care of both fresh Brow Extension services? Umbreen: We recommend our Brow Extension clients avoid getting them wet or humid for 24 hours after their service, so that the glue stays on longer. Just touching them doesn’t necessarily remove them any quicker, it is more rubbing or pulling at them. MyTopFace: How permanent is your tint used for Tinting? Umbreen: Our Brow and Lash Tinting lasts for 2-3 weeks depending on how the client takes care of them and how fast they lose the color. As everyone’s experience is different, we only learn of a client’s cycle once they have had one treatment. Sometimes they can last for up to 6 weeks! MyTopFace: Should a new client, not used to Threading, expect to feel pain at all? Umbreen: We do have our own thread which is not considered painful. However, I would say your first time you may feel a little bit of an uncomfortability. It is common for the thread to feel like the thread is on a much larger area on your face that it actually is, so do not panic. You may also feel more uncomfortable if you have coarse hair. Once it’s done, we recommend you do your brows every 3 weeks to avoid any pain at all and keep them in perfect shape. If our techs know it is the first time Threading, they have a different technique they can follow, so make sure to let them know! MyTopFace: With the few tools used to complete each service, how can you assure your clients that all tools are sterile and unused? Umbreen: We sterilize some tools before every service and all tools every night. We also follow procedures that assure sanitation during every service. MyTopFace: If someone were to forget to book their appointment, but found themselves in the area of your Brow Bar, would they be accepted as a walk-in, or is scheduling an appointment an absolute must? Umbreen: Yes, we always accept walk-ins, but of course, appointments take priority. We are getting extremely popular, so we definitely advise booking in advance. MyTopFace: In order for your technicians to perform services, do you require them to be licensed, or do they just have to go through extensive training? Umbreen: All of our techs go through extensive in-house training and obtain their licenses before they join our team. MyTopFace: Umbreen, do you plan on adding any additional services to your Brow Bar? Any opening of new locations in the near or far future? Umbreen: Yes! We are excited to announce a new Brooklyn location in September. The location will be announced shortly! Our new store will add parties and events to the menu amongst new services that we have launched in our current store which are Lash Lifting, Microblading, and 100% Organic Sugar Hair Removal services. MyTopFace: Many men and women result to servicing their own beauty needs as opposed to going out and having the service professionally done. 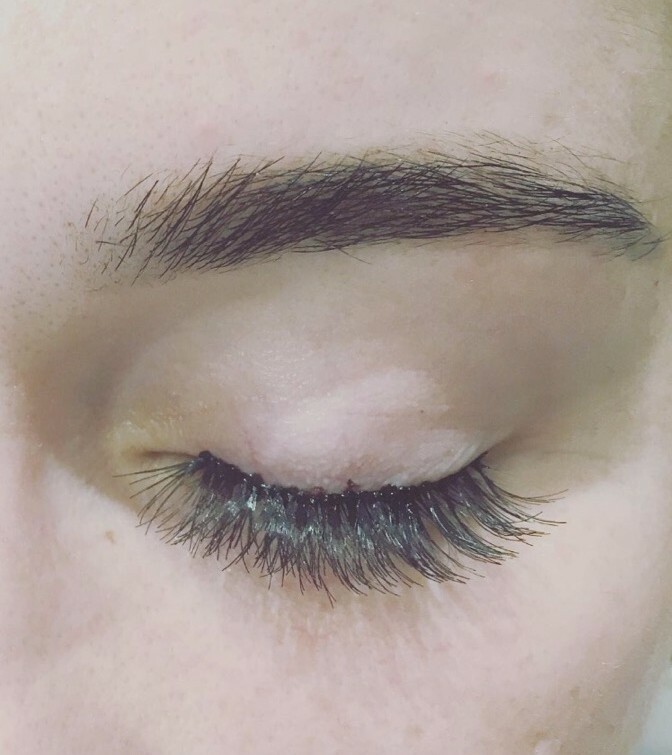 What are some self-harms one can cause when Threading, Tinting, or applying Lash Extensions? Umbreen: I am a firm believer in letting experts do all of the above services we mentioned. Wink makes these services very accessible from a price perspective. With Threading, it is near impossible to get it right yourself. Even Tinting and Lash Extensions in itself is very dangerous. You can really hurt yourself if any of these services are wrongfully done. MyTopFace: According to our expert, your Bar is very welcoming, up-to-par, and a beautiful environment and atmosphere to be in. What are some final words you can share to our readers interested in being convinced to stop in at your Bar? Umbreen: Come on in and get some time to pamper yourself, you deserve it!!! As our expert had a memorable and exciting experience, you can, too! When you are looking to get your brows and lashes in tip-top shape, you now have the inside scoop on the where and how to do so! Also, in between your fill-ins, you can extend the care of your brow and lashes with Amalie Beauty and their Lash and Brow enhancer. Our experts shared our experience just for you! Our team would like to extend a special thank you to Dolled Up Co. for this beautiful little black dress. 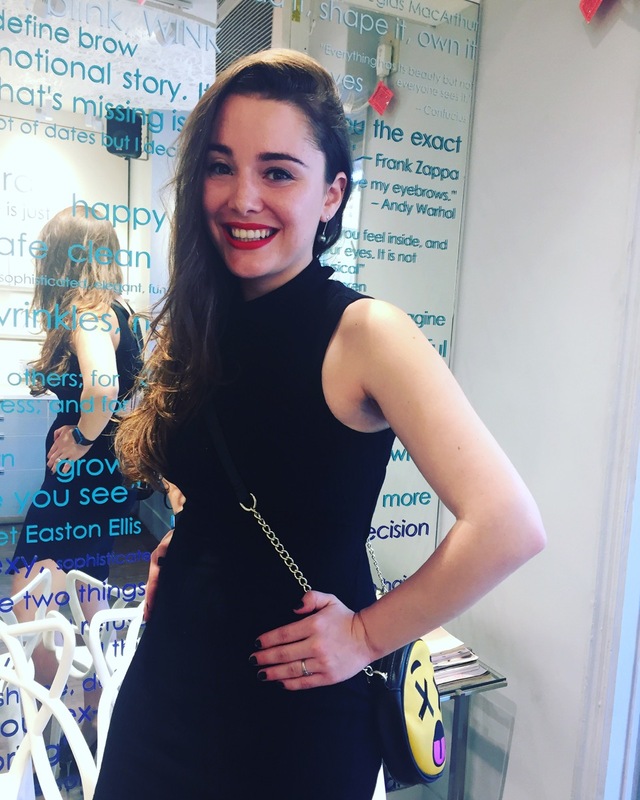 This Zoe Dress In Black fit our expert perfectly, and she received tons of compliments! Our expert now has a new elegant piece added to her wardrobe! Lastly, thank you to Timeless Pearl for the Black Tahitian Pearl Earrings!